What is the Best Thermos that Keeps Food Hot for 7 Hours? Keeping your soup or coffee hot for 7 hours is quite hard, isn’t it? Most of you find challenging to keep your food hot, especially in the winter months when cold outside. Then you probably need a good thermos that keep your food hot. If you are looking for a thermos that keeps your food hot, then you came at right place. I will disclose you here the thermos that keeps food hot for 7 hours with a comprehensive guide. 1 How Does Thermos Keep Things Hot? 2 How Long Does a Thermos Keep Liquid Hot? 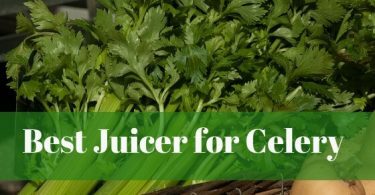 3 How to Prepare Thermos for Hot Food? / How to Preheat Thermos? 4 Can You Heat Up a Thermos in the Microwave? 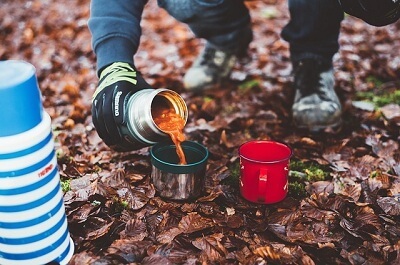 5 How to Choose the Best Thermos that Keeps Food Hot for 7 Hours? How Does Thermos Keep Things Hot? Thermos is also known as a vacuum bottle. Here vacuum means not that vacuum which we use to clean the tiles or floor. Vacuum means the absence of air or space where there is no air. You need insulation to prevent heat from escaping. Vacuum is a good insulator. The vacuum is set between thermos liner and an outer surface. Thermos uses a vacuum for not allowing heat to escape from hot food inside. It stops the conduction and convection of heat in or out of a thermos. The vacuum mechanism works in a thermos as it has an absence of air and it has no conductivity. So, the thermos can keep things hot for many hours. Watch the below video that shows how does a thermos work? How Long Does a Thermos Keep Liquid Hot? This involves a lot of variables. It depends upon the amount of liquid you are going to store in a thermos which is the most important factor. The rate of heat loss relies on surface area and heat content depends on volume. So, large volume needs more time to drop down the temperature to a specific point. Some thermos models can keep liquid or food hot for 24 hours. Whereas some thermos can keep things hot for 12 hours. There are some budget-friendly models can keep things hot for 6 to 8 hours. Also, check out the instruction manual comes with your thermos that how many hours the thermos can keep your food safe to eat. Is your thermos stinks with coffee smell? then get to know how to get coffee smell out of thermos. How to Prepare Thermos for Hot Food? / How to Preheat Thermos? You can use thermos only to pack food with liquid or beverages. Pack the thermos with hot food just before leaving your home to keep your hot food hot for longer. Firstly, you need to wash the thermos. Fill the boiling water in the thermos and make the thermos warm. Set the lid on. Allow it to sit for a few minutes. Then throw out the water. When your thermos reaches to warm, quickly add hot food or liquid. Make sure your food is at or above 165 degrees Fahrenheit. You can use the food thermometer to check out the temperature. Then fix the thermos lid tightly. Can You Heat Up a Thermos in the Microwave? Yes, you can heat up the thermos in the microwave. It depends on the construction material of thermos. Microwaves add the energy to getting things to heat up. Before putting the thermos in the microwave figure out if it is microwave safe or not. Follow manufacturer’s recommendation for heat up the thermos in the microwave. Look for the microwave-safe symbol which is the approval for using it in microwave safely. It means your thermos can bear up the heat of microwave without melting or it won’t release the harmful chemicals while heating up. Don’t heat up the thermos when it is empty. Also, make sure thermos is not overfilled. Excessive heating may ruin the thermos, so don’t overheat the thermos. Follow the time given in the instruction manual to heat up. 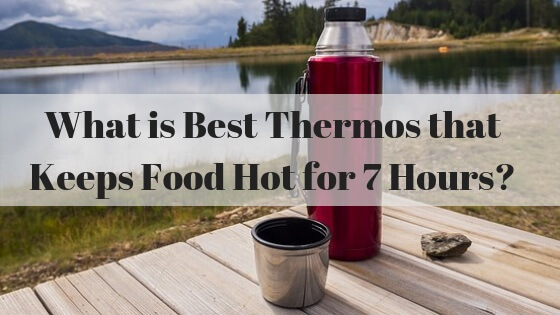 How to Choose the Best Thermos that Keeps Food Hot for 7 Hours? Consider the following factor before choosing the best thermos that keeps food hot for 7 hours. The construction material is an essential thing to consider before buying a thermos. It should be BPA-free. So it is safe to use to pack your food. The material should be totally rust-free. The construction should be practical and durable. Before buying a thermos consider the capacity it holds to carry food. Decide upon do you need a single serving or multiple. If you want it for long distance traveling, you need a large capacity thermos. Some thermoses come with a glass lid or some come with a screw cap or some are equipped with valves. The cap should be capable to allow no heat loss. The cap should be fixed precisely otherwise it leads to mess while using. Price is an important factor while buying a thermos. You should decide upon how much you can pay for a good quality thermos. Generally, the price is depending upon the quality and manufacturer of the thermos. But it doesn’t always mean you need to pay high for good quality thermos. You can get decent quality thermos around $25. Is your Zojirushi thermos get dirty? Then get to know how to clean Zojirushi thermos. There are a lot of thermoses out there in the market. But not all the thermoses are capable to keep food hot as long as 7 hours. So, following are our top picks you can choose from that serve your intent of keeping things hot for 7 hours. Thermos Stainless King 16 Ounce food jar is a great option for various activities whether it is for trekking, biking, traveling, or at work or school. So it is suitable to carry out for most of the activities. It is constructed of double wall vacuum insulation technology which retains the temperature of food for a maximum time whether it is hot or cold. So, you can get two bottles, one inside another with a vacuum located between them. It keeps the food hot for 7 hours and cold for 9 hours. It’s exterior and interior both are made up of durable stainless steel material. The material used is BPA free which makes it safe to use. The extra-wide opening of thermos makes it easy to serve and clean. It is also convenient to fill the food inside without any mess. If you fill it with hot liquid, the outer surface stays cool and safe to touch. When you fill it with cold food, it won’t sweat as it is sweat-proof. The thermos comes with a beautiful stainless steel cap which you can use it to consume drink or liquid. Thermos Stainless Steel Insulated Travel Food Jar comes with an aesthetic, compact and sleek design. It is another durable food jar by Thermos as the interior and exterior made up of stainless steel. This food jar featured with a patented double wall which is vacuum insulated to stay food hot or cold for maximum hours. It keeps food hot for 7 hours and cold for 9 hours. If you want to give it for lunch for your kid, it stays super-hot until lunch time. So your kid can enjoy a quiet hot meal! The capacity of the thermos is 16 ounces which are good enough for packing lunch. A lid of a thermos constructed of Eastman Tritan which is stain resistant and long lasting too. It has a 360-degree lid which makes convenient to drink content from a thermos. The press-fit lid makes it easy to use. If it fixes securely at its place which prevents leaking. Before packing the food into the thermos, fill it with freshly boiled water other than hot tap water. As using freshly boiled water is the best deal to keep your food hot for longer. Thermos Food Jar with Folding Spoon is a stainless steel thermos having 16 oz. capacity. This Thermos comes in a blue finish. So most of the kids love the fun color. This superior, double wall vacuum insulated thermos keeps content hot for 7 hours and cold for 9 hours. Due to premium vacuum insulation, its stainless steel construction stays cool for hot content inside and remain sweat-free when packed with cool food. If you are facing irregular meal time you can get your food fresh for longer. Its contoured shape allows for ease in a grip. The lid of the thermos can be used as a serving bowl. The material used for construction is BPA-free and safe to use for your food. The thermos is sleek as well as durable to use. You can pre-heat the thermos just filling it with hot tap water and pre-chill the thermos by filling it with cold tap water. It will increase the insulation capacity of a thermos. So, these are the thermoses that keep food hot for 7 hours. These thermoses are well made and durable. Its insulation capacity is good enough to keep your food hot for 7 hours. It can preserve the temperature of your food. These food jars are totally rust-free which is the most important factor while choosing the best thermos. You can carry them anywhere for an outing, at work or at school and enjoy your meal hot!! Hi I am Komal. I love writing about home appliances. I am a management degree holder with a keen interest in reading, traveling and blogging. You will see more authoritative and in-depth home product reviews at this site.